What is the greatest obstacle to your fulfillment, success, and happiness? "It's the belief," teaches Fleet Maull, "that your current situation, whatever it is, has the power to determine your future." Before he was a revered meditation teacher, Fleet Maull served 14 years in prison for drug trafficking. And during that time, he embarked on a path of transformation and service that today has helped tens of thousands--from inmates to hospice patients to top-level business leaders. With Radical Responsibility, he invites us to experience for ourselves the life-changing journey from victim to co-creator. 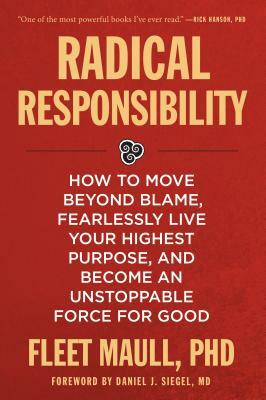 If you would like to take your life to the next level and truly optimize your health, relationships, career, and other life pursuits, Radical Responsibility will give you the expert guidance to move beyond the inner walls of your beliefs and realize your full potential. This book includes access to guided audio sessions for many of the exercises, available online.